Leadership style is something I’ve been pondering for a while now. I’ve been lucky to have met and worked with many great leaders over my career and I’ve also met and worked for some that, shall we say, could have done with some development and coaching. I don’t like putting people into boxes, as everyone is different, but for the purpose of this series of blogs I’m going to paint a picture of the main leadership styles that I’ve come across and their merits and weaknesses. Effective leaders match their style of leadership with the right situation. Ineffective leaders are inflexible and do not understand the relationship between leadership style and teamwork. Whilst I’m a huge fan of the movie, I’m not a huge fan of this type of leadership style. There are times when it may be useful, but I would only consider using this style of leadership as a last resort or in an emergency situation. This type of Leader retains as much power and decision-making authority as possible. They do not consult their team, nor is anyone allowed to give any input and the Terminator’s team is expected to obey orders without receiving any explanation. A more productive team ‘while the leader is watching’. The power that the Terminator exerts over a team improves their working speed and makes them less likely to slack. This is ideal for poorly motivated employees who have little concern or interest in the quality or speed of work performed. Improved logistics of operations. Having one leader with heavy involvement in many areas makes it more likely that problems are spotted in advance and deadlines met. This makes ‘The Terminator’ ideal for one-off projects with tight deadlines, or complicated work environments where efficient cooperation is key to success. Faster decision-making. When only one person makes decisions with minimal consultation, decisions are made quicker, which will allow the management team to respond to changes in the business environment more quickly. Short-term approach to management. Whilst the Terminator will enable faster decisions to be made in the short-term, by not giving their people the opportunity to gain experience and start on their own leadership development, and learn from their mistakes, the Terminator is actually de-skilling their workforce which will lead to poorer decisions and productivity in the long run. Manager perceived as having poor leadership skills. While the Terminator style has merits when used in certain environments, this autocratic leadership style is easy, yet unpopular with employees. Increased workload for the manager. By taking on as much responsibility and involvement as possible, the Terminator naturally works at their full capacity, which can lead to long-term stress and health problems and could damage working relationships with colleagues. This hyper-focus on results comes at the expense of good leadership development. People dislike being ordered around. They also dislike being shown very little trust and faith. 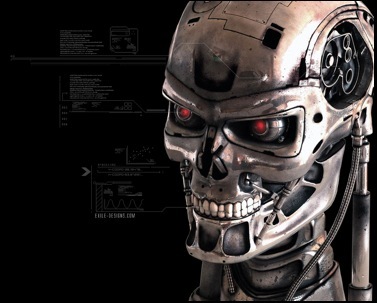 As a result, the Terminator style can result in demotivated teams. This results in the paradox that Terminator leadership styles are a good solution for demotivated workers, but in many cases, it is the leadership style alone that demotivates them in the first place. Younger people especially don’t respond well to the Terminator. Teams become dependent upon their leader. After becoming conditioned to receive orders and act upon them perfectly, workers lose initiative and the confidence to make decisions on their own. This results in teams who become useless at running operations if they lose contact with their leader. Would love to hear from you if you’ve met the Terminator! Steve Thanks for your wonderful posting! I seriously enjoyed reading it, you happen to be a great author.I will always bookmark your website and may come back down the road. I want to encourage that you continue your great writing, have a nice afternoon! ! !